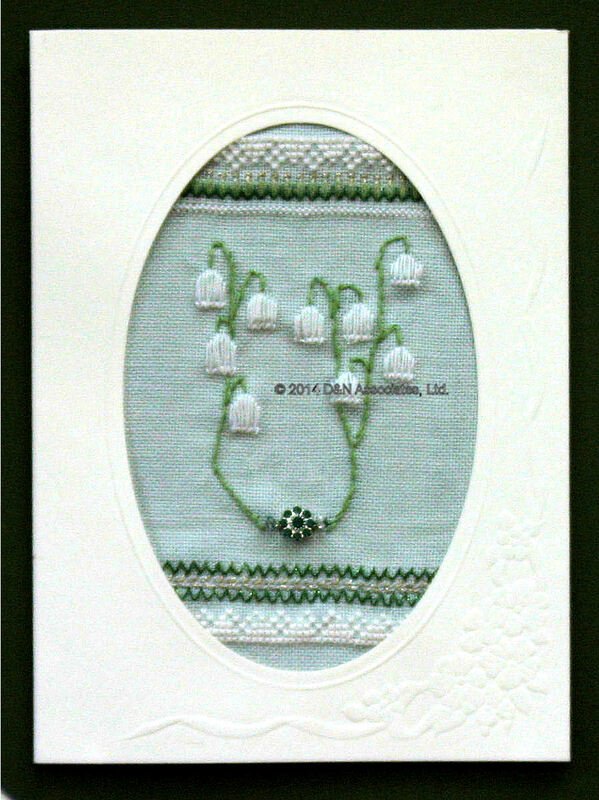 Though Carol’s birthday isn’t until May, I gave her the Lily of the Valley card I stitched for her. The bell shaped flowers are my design, the row stitching is from various Victoria Sampler designs that I have on hand. 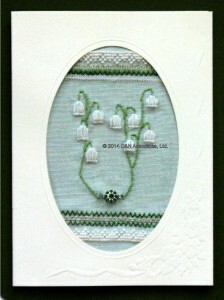 To add a sparkle I stitched an emerald green Swarovski component at the bottom of the flower stems. Card is 5.75″ by 7.75″, with a 4″ x 6″ oval opening. 28 count Confederate Grey Cashel Linen. Threads used: Kreinik braid and DMC floss.